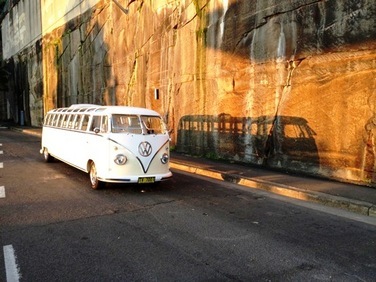 The Rocks and Harbour provide the perfect venue for a beautiful wedding. The Kombi provides the perfect transport option. Topic 12 Kelly or Kombi? Topic 18 Get me to the church on time! Topic 21 2 icons !